FUN FACTS: The Society of St. Vincent de Paul was not founded by St. Vincent de Paul — it was actually Blessed Frédéric Ozanam, an admirer of the saint and his works, who founded this charitable society in 1833. According to his friends, Vincent was a short-tempered man by nature; but, by grace, he was able to meet the needs of others with sensitivity, and minister to them with tenderness, patience, and affection. During the early years of his priesthood, Vincent became a tutor to the children of the Gondi family. It was through this experience that he learned a valuable principle that guided his future work: evangelize the rich and direct them to serve the poor. A servant who worked for the Gondi household became dangerously ill and made a confession to Vincent. It was then that Vincent observed how poorly catechized these peasants were, keeping them from making good confessions. He also noticed that priests were inadequately trained and did not know how to administer the Sacrament of Penance. With the support and encouragement of Countess de Gondi, Vincent preached in the parish to instruct the people. So many were stirred to repentance and came for confessions that Vincent had to call on Jesuits from a nearby town to come and help him. 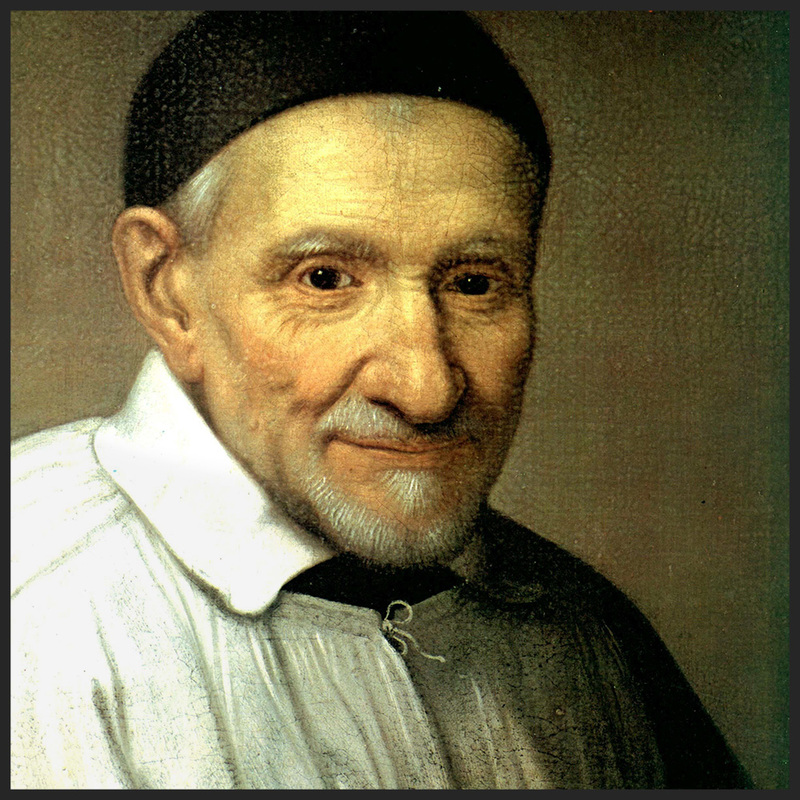 In 1625, Vincent founded the Congregation of the Mission, also known as the Vincentians — a community of priests, with vows of chastity, poverty, obedience and stability, devoted themselves to a 3-fold commitment: 1) to pattern their lives on Christ, 2) to take the Gospel to the rural poor, and 3) to help educate priests in their practical duties. Their main focus was to conduct parish missions, preach, and hear confessions. In 1633, with the help and leadership of (Saint) Louise de Marillac, Vincent founded the Sisters of Charity — a community of women dedicated to care for the sick and poor. He recruited noble and wealthy women to band together as Ladies of Charity who will support the sisters by collecting funds and assist them in other practical ways. Even in his last years, confined to an armchair due to his swollen legs, Vincent continued to cheerfully direct his charitable works by writing hundreds of letters. He was nearly 80 years old when he died in 1660.